Learning Design refers to research and development work that equips teachers with tools and strategies to aid their design thinking. Its origin stems from two lines of inquiry: (i) how to represent teaching practice from a technical perspective in the development and delivery of online learning environments; and (ii) how to represent teaching practice in an appropriate form to enable teachers to share ideas about innovative online pedagogy and think about the process of design. The underlying premise of learning design is that, if effective, teaching and learning practice can be represented in a systematic way, thus supporting the process of reuse, which could ultimately lead to improved practice. A large international body of work has produced specifications of technical standards to support the delivery of online learning, different learning design representations to disseminate ‘best practice’ examples to support and encourage adaptation, and software tools and strategies to support the design process. 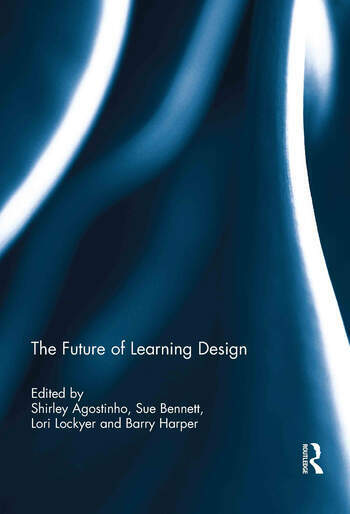 This book presents a view of current thinking about learning design and provides insight into the future direction of this field of research and development. It is a timely contribution that will stimulate discussion about these issues and guide and advance the learning design field. This book was originally published as a special issue of Learning, Media and Technology. Shirley Agostinho is a Senior Lecturer in Educational Technology in the Faculty of Education at the University of Wollongong, Australia. Her research interest in learning design began more than ten years ago when she was project manager for one of the first large scale Australian higher education projects that developed innovative reusable learning designs. She has completed a Post-Doctoral Fellow that examines how learning objects can be integrated with learning designs when developing online learning environments and has worked on a number of projects investigating how the learning design concept can be used to support teachers with their design thinking. Sue Bennett is an Associate Professor in the University of Wollongong’s Faculty of Education, Australia. Her work investigates how people engage with technology in their everyday lives and in educational settings. Her aim is to develop a more holistic understanding of people's technology practices to inform research, practice and policy. She has been researching design thinking and learning design since 1999. Lori Lockyer is the Vincent Fairfax Family Foundation Chair in Teacher Education and Head of School of Education at Macquarie University in Sydney, Australia. Lori’s research focuses on the how technologies facilitate teaching and learning in K-12, higher and professional education. For over 10 years she has been involved in a number of projects that investigate the development, use and issues associated with learning design. Barry Harper is Emeritus Professor of Education at the University of Wollongong, Australia. He has extensive experience in the design, development, implementation and evaluation of technology-mediated and online learning materials. His research focuses on the design, development, implementation, theory and evaluation of technology supported learning environments with a recent emphasis on learning design.